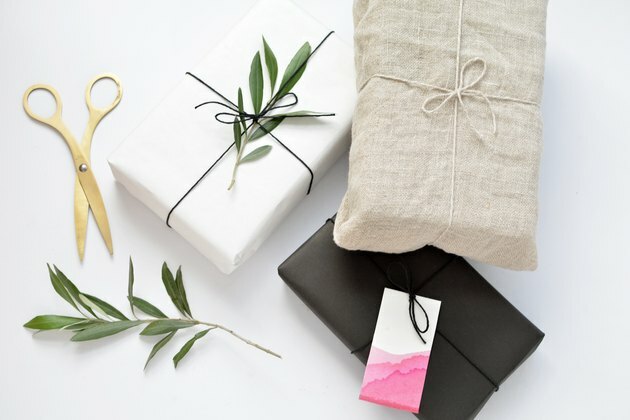 Beautifully wrapped gifts make a gorgeous first impression, especially when you add earthy, organic elements. 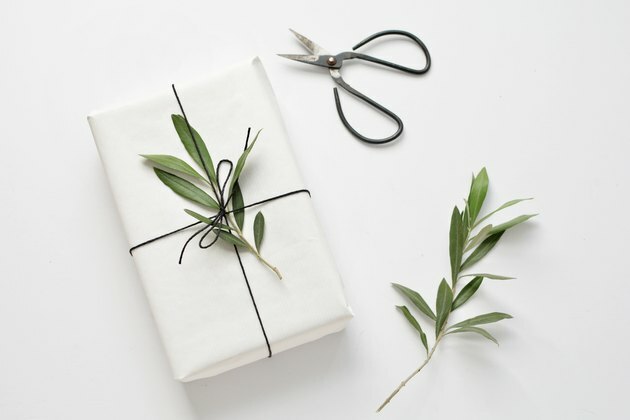 We've got three easy DIY ideas that are sure to take your wrapping game from bland to brilliant without having to spend too much time or money. These simple finishing touches would work for holidays, birthdays, and wedding gifts all year round. 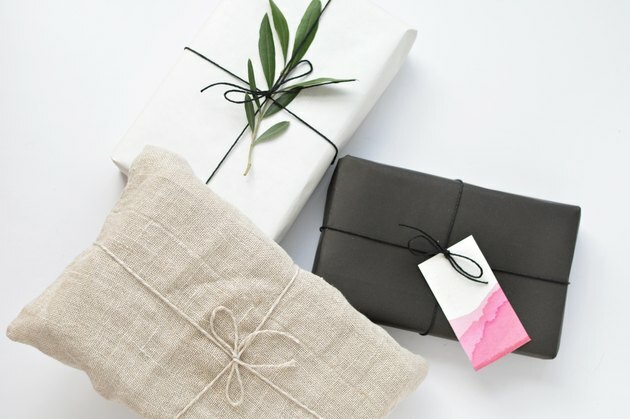 Start by wrapping your gifts with plain paper. Classic kraft or white paper is a great backdrop for greenery. Take a selection of foliage (we suggest spruce, olive, or eucalyptus) and trim to fit. You can find foliage at your local florist or garden shop. Or, if you're lucky, in your own backyard or neighborhood. 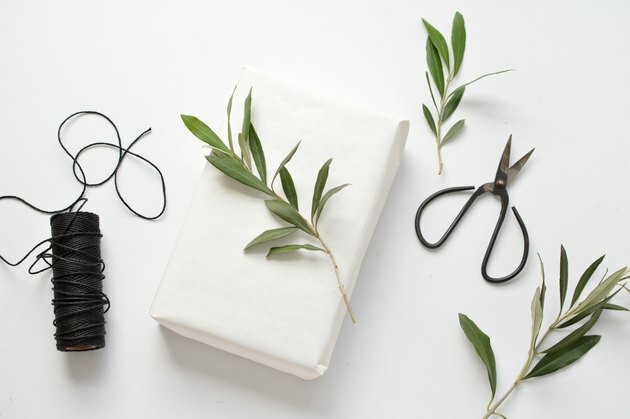 Tie your gift with twine and slip the sprigs of foliage beneath for a gorgeous natural flourish. 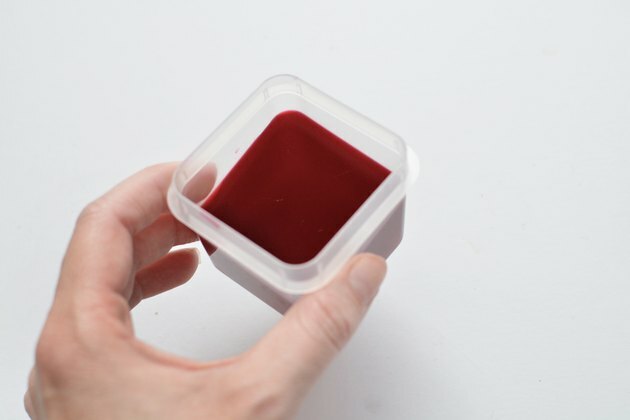 Trim some white card or watercolor paper and dip the end into the beet dye. 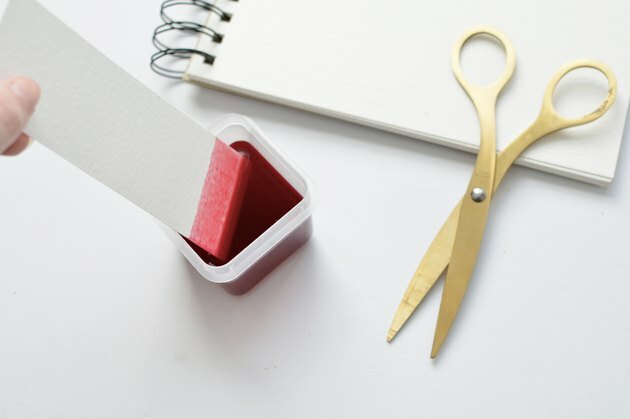 Leave to dry before dipping again. 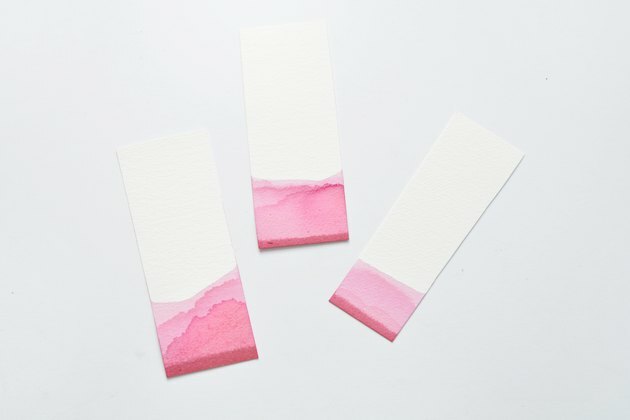 To create the slight gradient effect submerge the card a little less each time you dip! Punch a hole into the gift tag and tie onto your gift to finish! 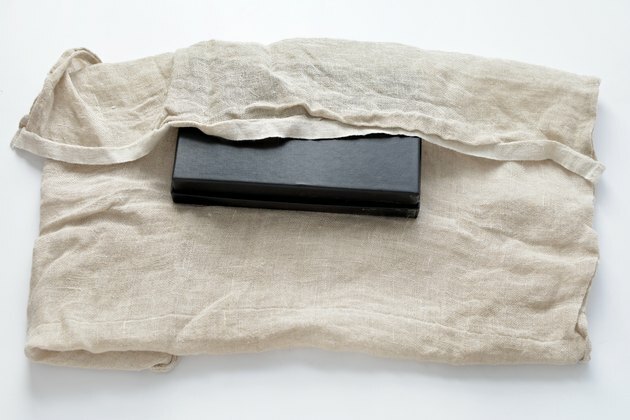 Start with a piece of fabric such as linen — it works beautifully with its rustic character. Remember: the fabric acts in the same way as wrapping paper so it needs to be bigger than the gift you intend to wrap. 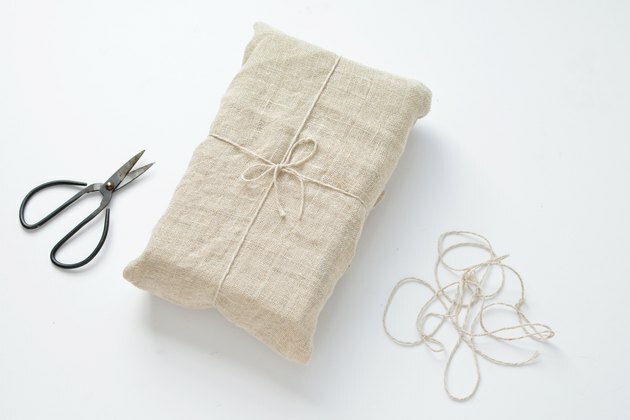 Wrap the fabric around the gift and secure with natural twine. 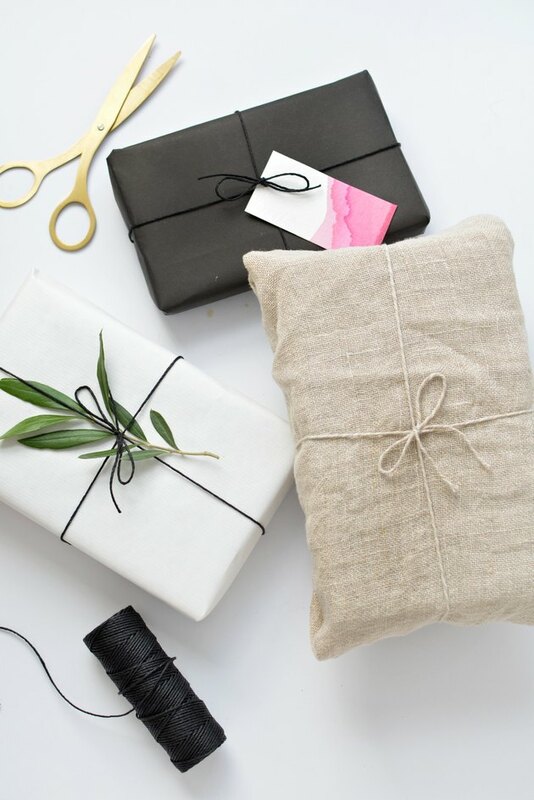 Wrapping gifts this way means it can be reused or repurposed — and when it comes to wrapping awkwardly shaped gifts (such as bottles), fabric is a great alternative to heavy or stiff paper! 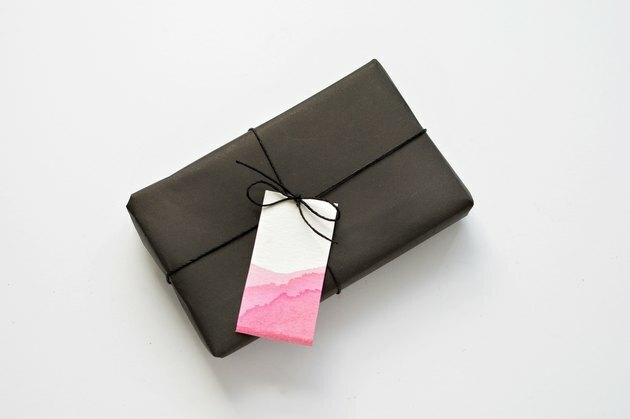 These personal, lovely touches will guarantee that your gifts will stand out from the crowd.